People who wear contact lenses have been given advice should floods occur by the Health Service Executive (HSE). It has advised that tap water or tanker water should never be used for cleaning or storing contact lenses as this could cause a rare, but serious, eye infection. 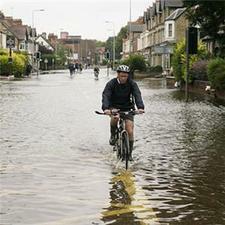 The body also advised that wherever possible, direct contact with floodwater should be avoided. If contact with floodwater is inevitable though, hands should be washed with clean warm water in order to minimise the risk of passing on harmful bugs. Rinse and dry your hands after going to the toilet, before eating or preparing food, or after being in contact with floodwater, sewage or with items that have been in the water  and use cold water if there is no warm water available.